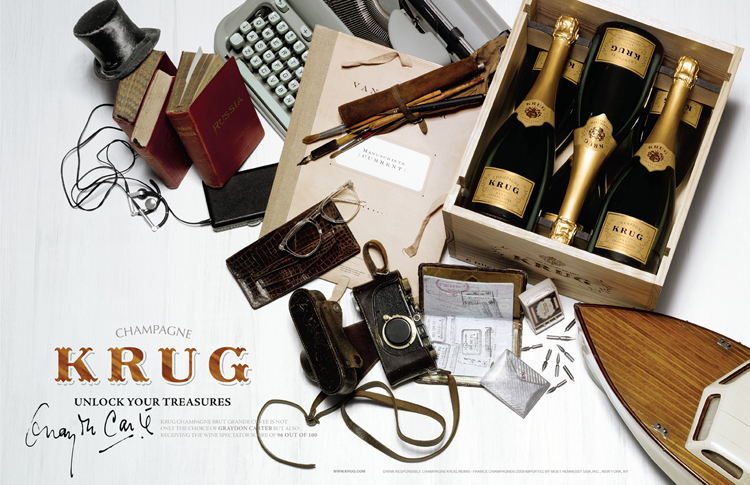 le cabinet de curiosités by graydon carter, editor of vanity fair graydon carter had served krug at his wedding prior to this campaign. le cabinet de curiosités by david lynch, director of mulholland drive. le cabinet de curiosités by jean nouvel, winner of the pritzker prize for architecture. 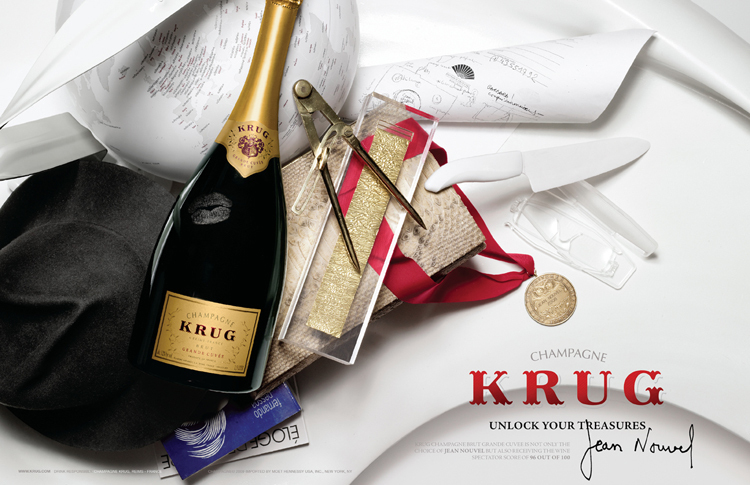 le cabinet de curiosités by anjelica huston, actress, goddess, mother in the darjeeling limited, the film by wes anderson–anjelica had her first taste of krug with her father, john huston, in ireland. 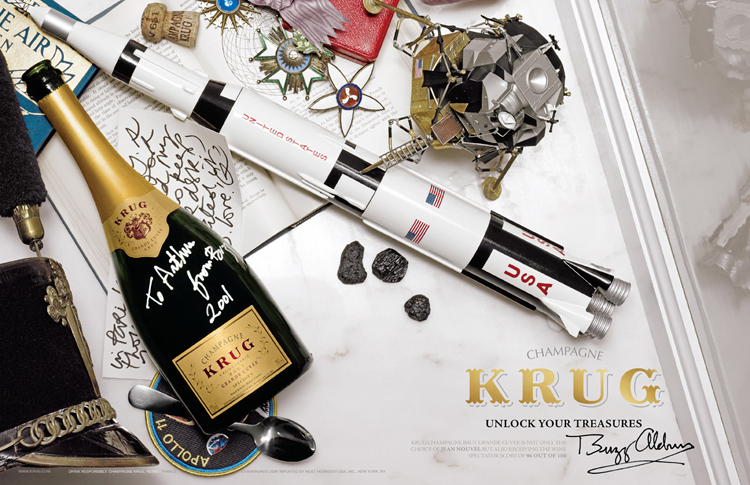 le cabinet de curiosités by buzz aldrin, pilot of first manned lunar landing on apollo 11.
the ultimate celebrity campaign is one that is about the work and achievements that made the person a celebrity, not the mere facade or the physical self. 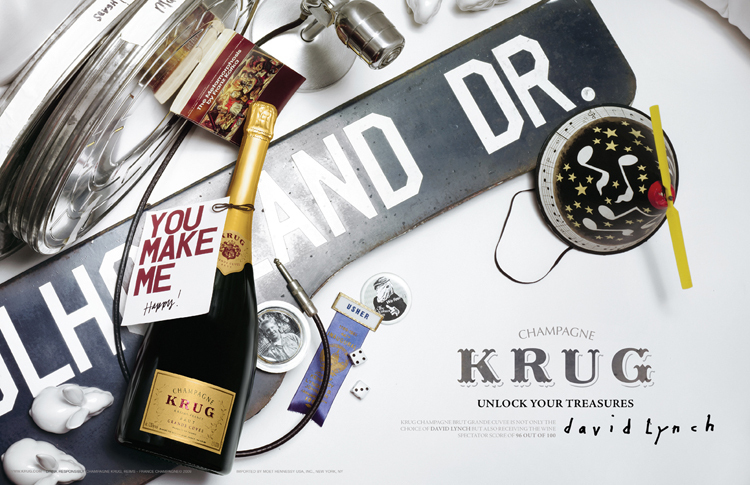 this campaign created by ceft and company portrays each one of these amazing people through their work and passions in life, opening a door to an intimate side of each that only krug has access to. (all ambassadors were secured and selected through ceft and company and its partners). 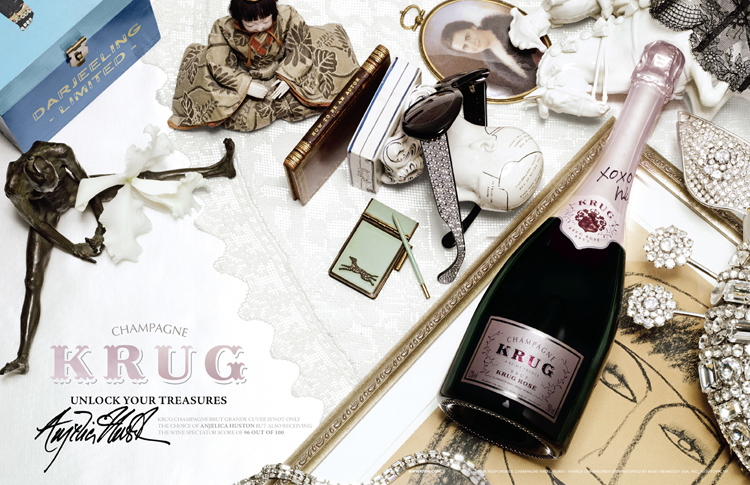 the krug campaign created by the agency won the prestigious gold award at the world luxury awards in monaco. you can view behind the scenes film or view all work related to this project.